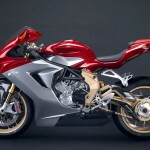 MV Agusta has revealed a special edition “Serie Oro” version of its upcoming 675cc supersport, the F3, for those who think owning a regular MV Agusta F3 isn’t exclusive enough. 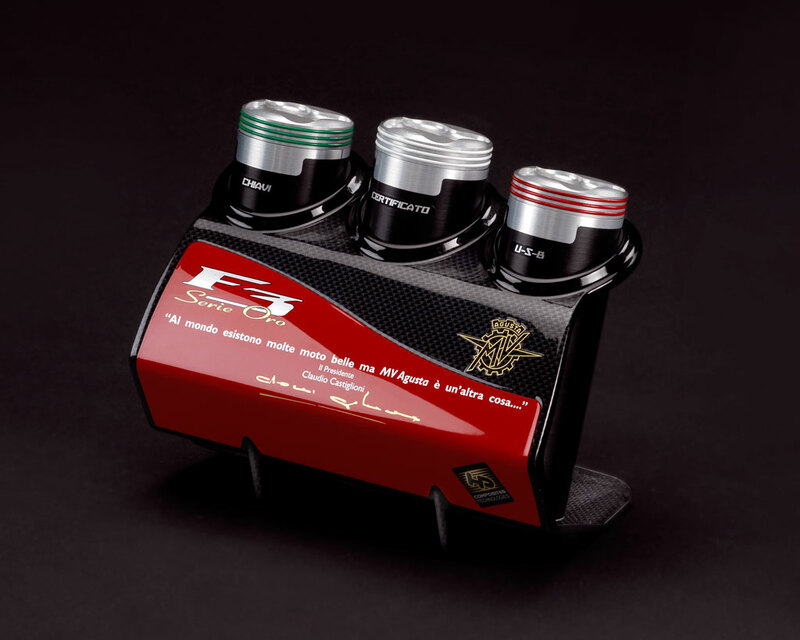 Following with company tradition, the “Serie Oro” (Italian for “Gold Series”) F3 features several upgrades over the standard model, and will be produced in a limited run of 200 units to be released ahead of the regular F3. 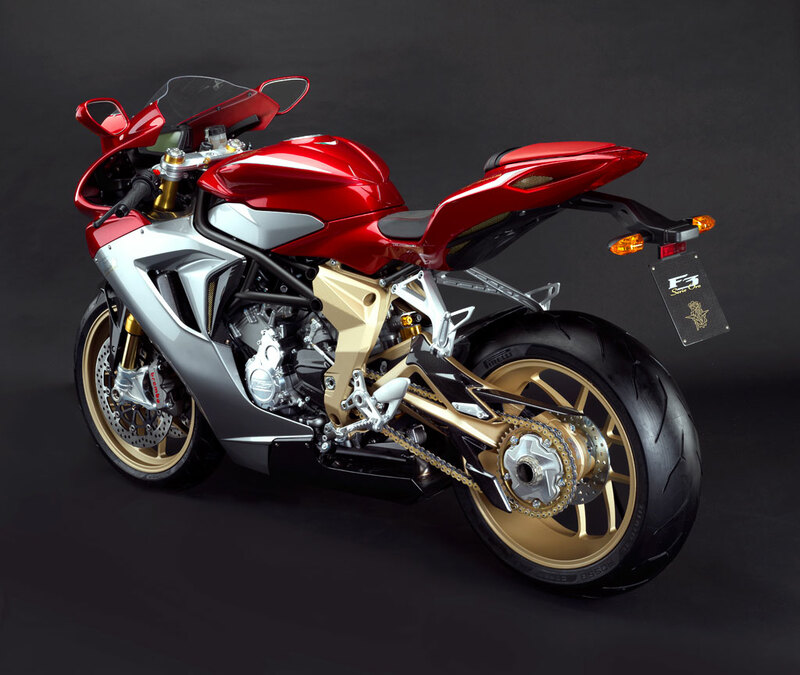 The MV Agusta F3 Serie Oro is distinguishable by its gold-painted swingarm and aluminum wheels, and gold finish on air intakes, vents and a gold chain, minimalist graphics and red-painted mirrors. The clutch cover and frame plates on the Oro are machine polished while the rider and passenger seats are made of hand-stitched leather and alcantara . 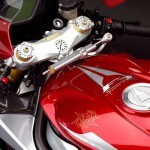 Each limited edition MV Agusta F3 Serie Oro will be individually numbered on the triple-clamp. But the changes aren’t just aesthetic. 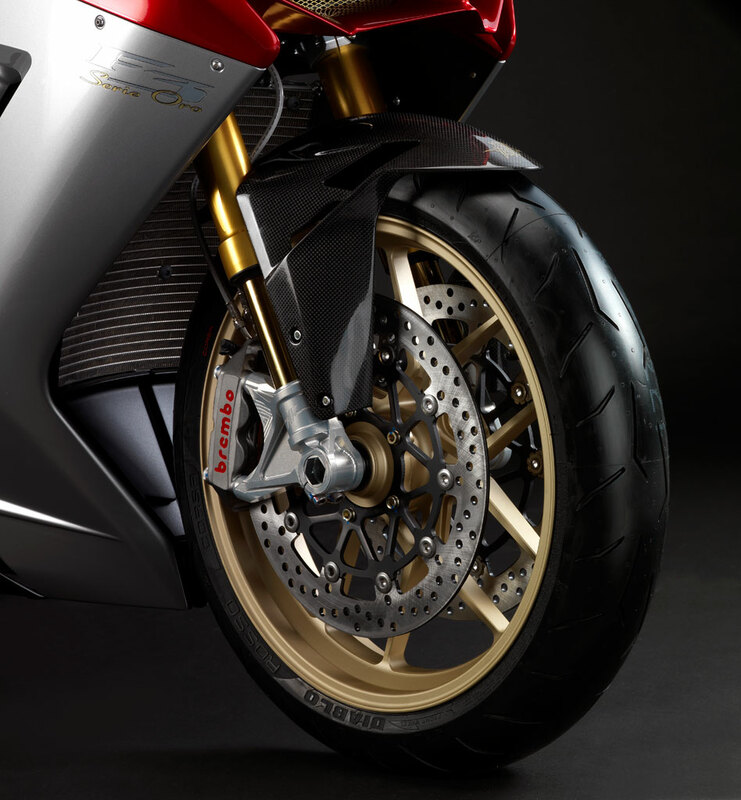 The F3 Serie Oro is also equipped with radially-mounted Brembo monoblocs, Ohlins fully adjustable upside-down fork, TTX rear shock and steering damper, plus several carbon fiber components. 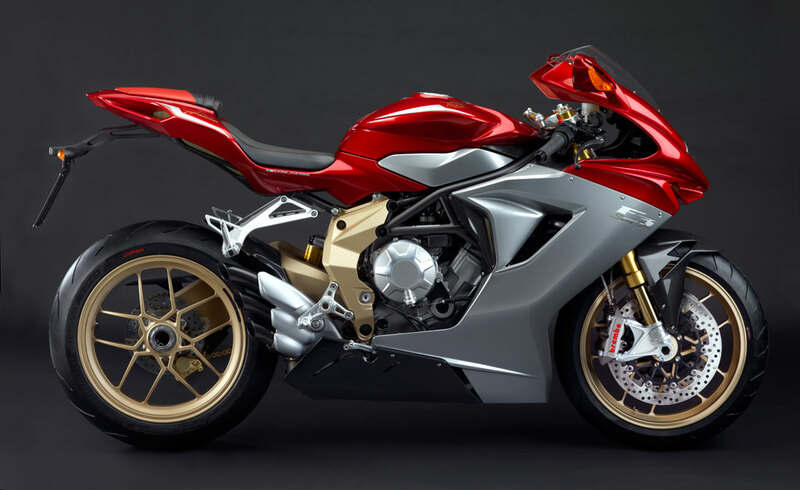 MV Agusta hasn’t announced how much the F3 Series Oro will cost, but it is rumored to be about double the 11,990 euro (US$16,950) MSRP for the regular F3. 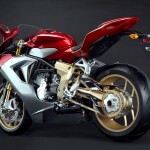 Look for the 2012 MV Agusta F3 at dealerships by the end of the year. 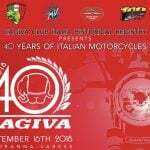 MV Agusta can formally announce that the retail sales price in Italy of the much awaited new F3 model will be 11,990 Euros. 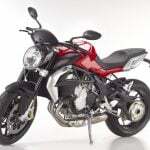 As already announced previously, production has been brought forward by four months, meaning that the new model will be available in dealerships before the end of this year. 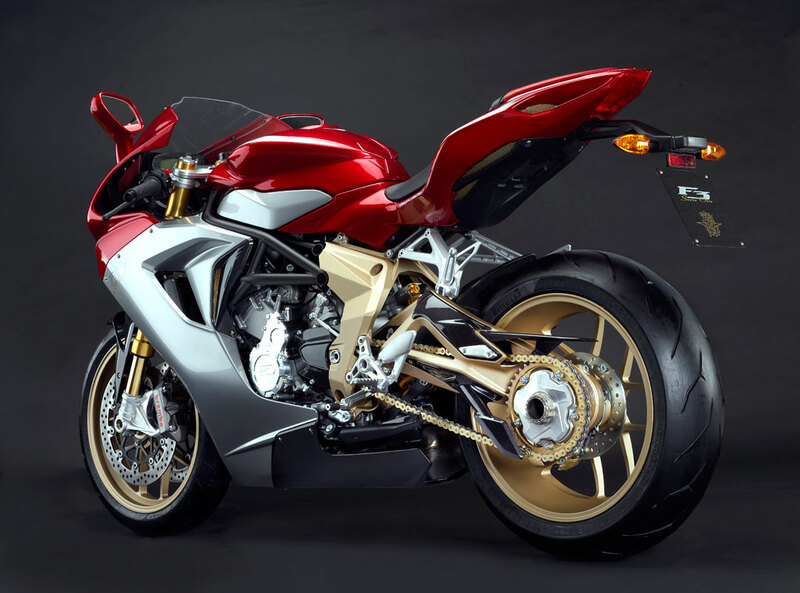 In keeping with the traditions of the brand, volume production of the new F3 will be preceded by a small series of limited edition “Serie Oro” versions appealing to enthusiasts of Italian engineering excellence. 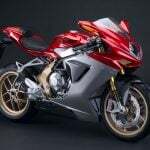 These exclusive models, of which a maximum of 200 examples will be built only to special order, differ from the standard version via a multitude of details, both in terms of aesthetics and engineering. 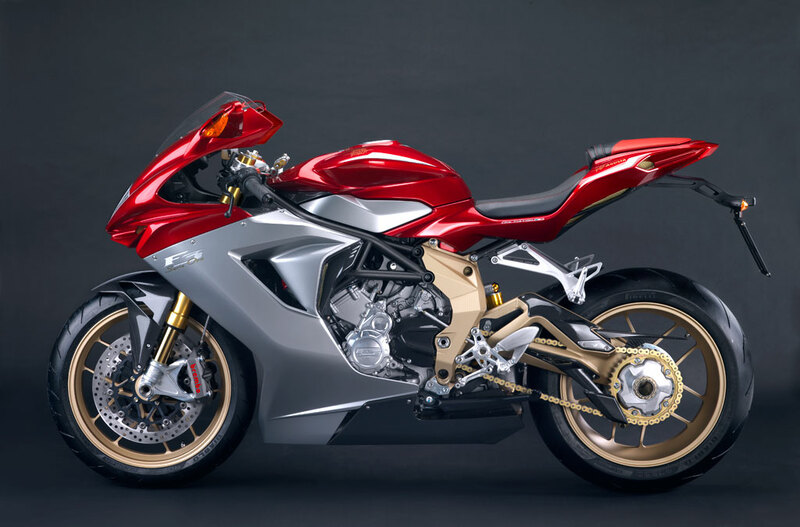 The F3 Serie Oro is immediately recognized by the gold frame plates and single-sided swingarm, as well as the forged aluminium wheels painted the same colour. 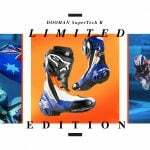 The deliberately minimalist graphics subtly emphasise the lines of the bike, as well as identifying it. 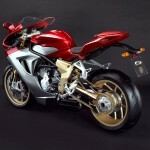 The sensuous bodywork design is characterised by a special paint scheme which accentuates its shapely form. The final result is a striking reinterpretation of the traditional MV Agusta silver and red livery. 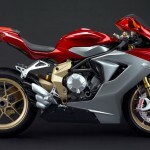 Even the rear view mirrors are painted, and the seat subframe matches the colour of the F3s tubular spaceframe. The clutch cover and the frame plates are machine polished, while the alternator cover is completely milled from solid, providing these components with the hand-made feel that makes each MV unique. 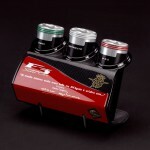 The attention to detail extends to the air intakes and cooling exits, which have a gold finish, as well as the DID Gold final drive chain. The completely hand made covering of both rider and passenger seats employs real leather and alcantara, giving the Serie Oro the ultimate touch of elegance. 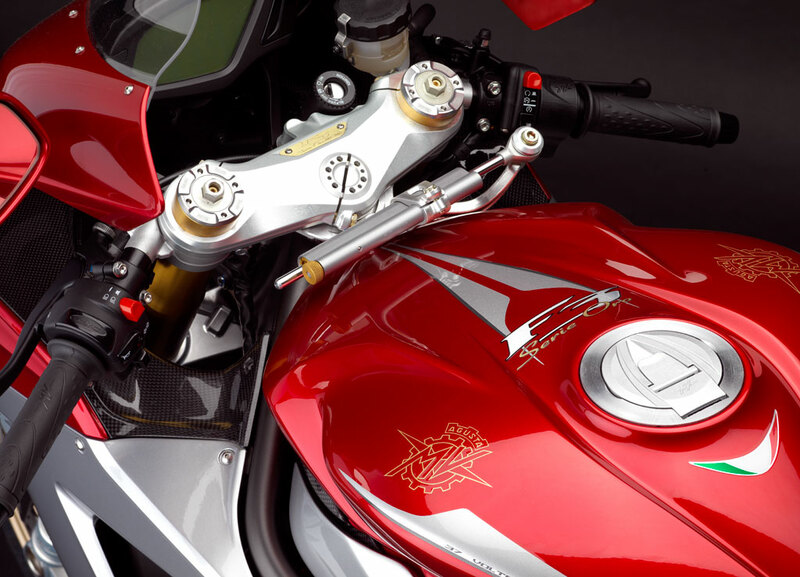 As usual with MV Agusta Serie Oro models, a gold plate mounted on the upper tripleclamp identifying each individually numbered bike, completes this picture of exclusivity. 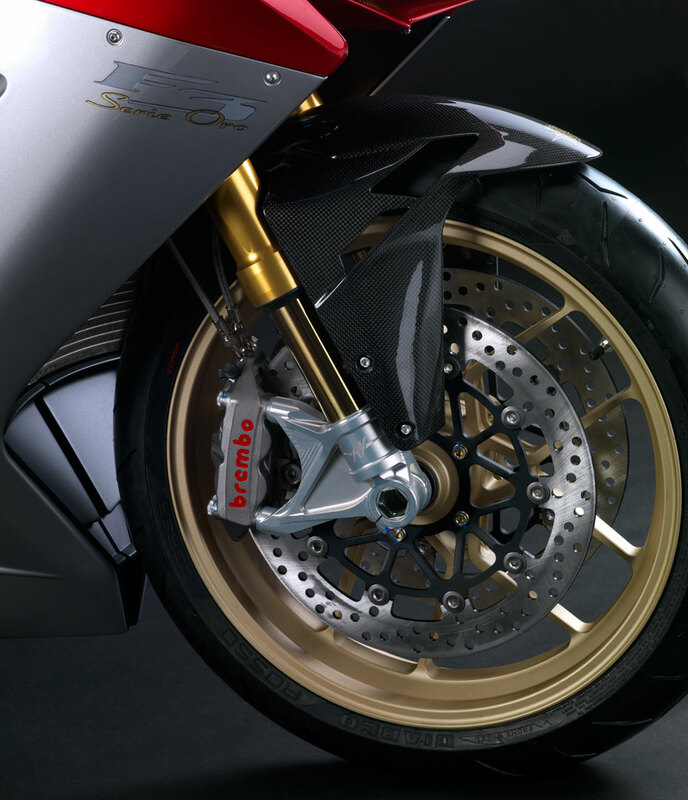 Several mechanical parts are unique to the Serie Oro models, exemplified by the outstanding Brembo brake system, with radially-mounted Monobloc one-piece calipers gripping Racing discs. 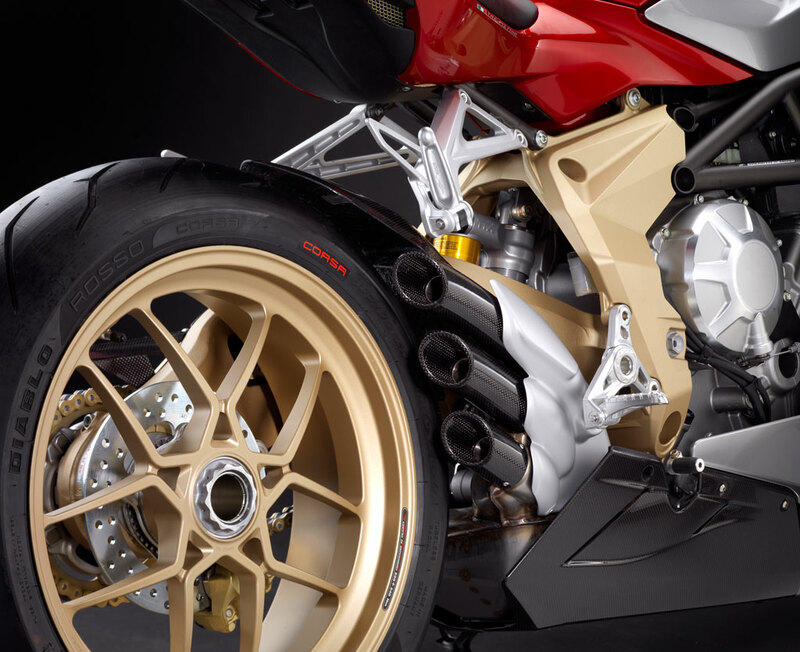 Fully adjustable Öhlins upside down forks, TTX shock and steering damper collectively represent the ultimate in suspension. 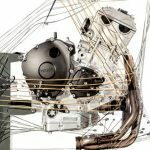 The spaceframe chassis and seat subframe are TIG-welded, guaranteeing a strong, stiff structure and a highly refined aesthetic appearance. 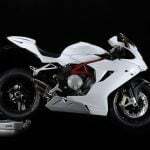 With the objective of allowing each rider to optimise the riding position, the footrests and their mounting plates are machined from solid, and are fully adjustable, as are the gearchange and rear brake levers. 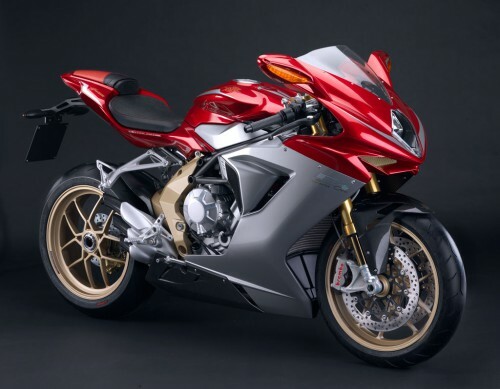 The F3s carbon fibre components add a unique richness to the bike. 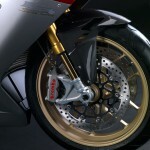 The front and rear mudguards, dashboard cover, airbox side and intake covers, fairing inserts, both upper and lower chain guards, swingarm protector cover, sprocket cover, fairing lower, and stacked exhaust outlets are all manufactured in this lightweight, good-looking material, each one carefully manufactured and covered with a transparent protective finish.